This year's Coastal Bend Day of Giving supports 50 area nonprofits on the forefront of assisting those in need, and Communities in Schools of the Coastal Bend is one of them. And that's exactly what Communities In Schools does. Today, we are the nation's largest and most effective organization dedicated to keeping kids in school and helping them succeed in life. Our unique model positions site coordinators inside schools to assess students' needs and provide resources to help them succeed in the classroom and life. We partner with local businesses, social service agencies, health care providers and volunteers. 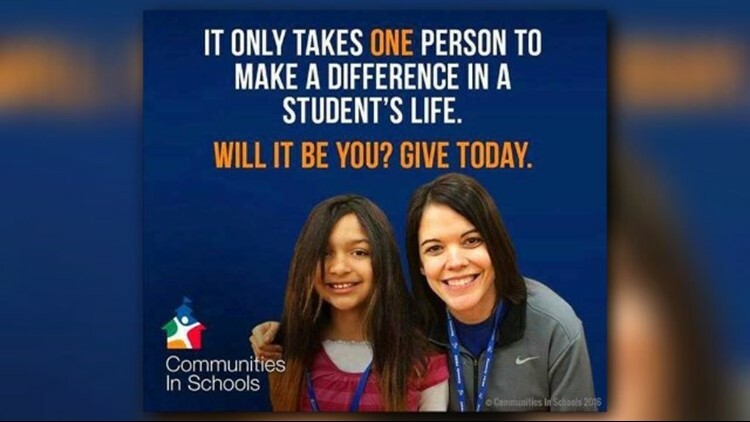 Whether it's food, school supplies, health care, counseling, academic assistance or a positive role model, Communities In Schools is there to help. This fall, many students will come to school hungry, homeless, ill-clothed, or lacking basic medical care. For many, these obstacles will prevent them from being able to regularly attend school. We must all come together to invest in the future of our community." Check out the links below for more information about Communities in Schools of the Coastal Bend.